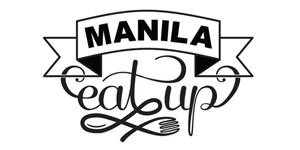 Hidden amidst a quieter portion of the otherwise busy N. Domingo Street is Megawatt, a theme restaurant serving up comfort food with a twist. 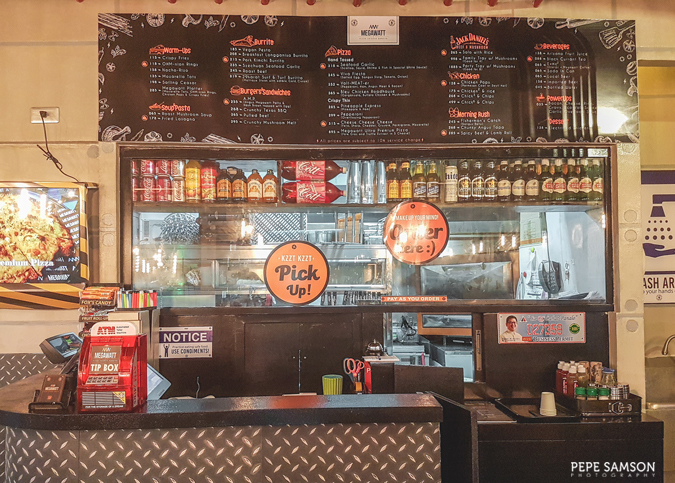 The one-way road conceals a distinctive diner with an equally unique concept: a power plant-inspired space situated right above a car wash—just like its more popular sister restaurant, Red Baron Ribs & Steaks. 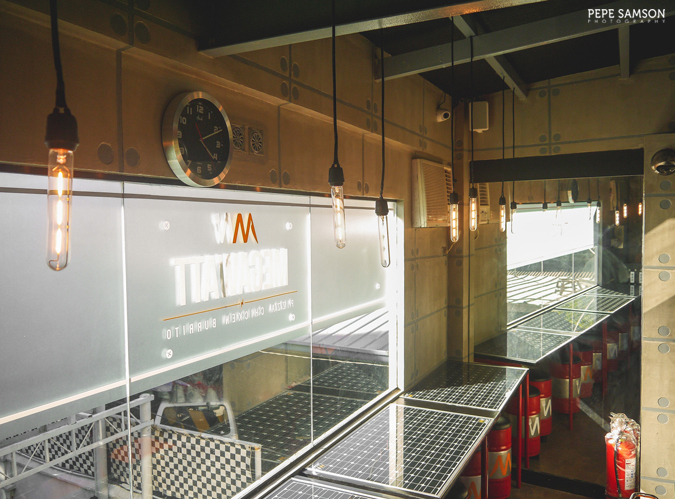 But unlike its older sibling, Megawatt boasts of modern industrial-style interiors and an advocacy for renewable energy—while maintaining the same passion for house-made food. The small place is such a delight to look at. The details and corners stick to the concept—from the solar panel tables and battery-shaped stools, to the cement flooring and industrial-style lighting. Even the signboards are well-thought of (“Bio Mass In-Progress" painted on the bathroom door, LOL) and there are real solar panels that power up the restaurant’s lamps. Cups and utensils are all recyclable. A memorabilia display, while a little out of place, attracts diners will limited edition collector’s items that can be purchased. 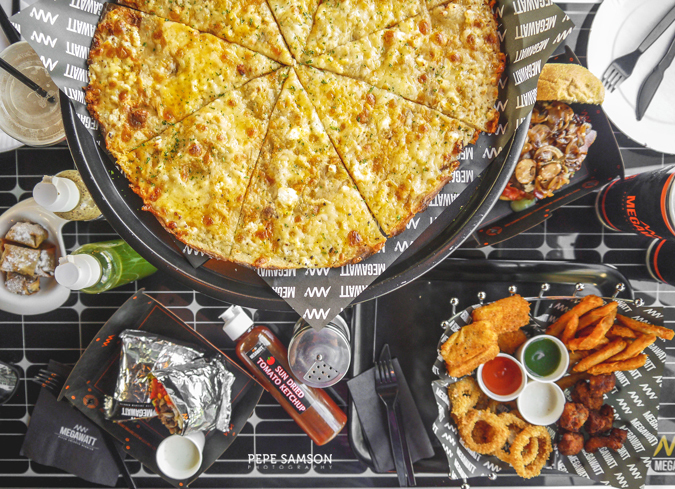 The menu deviates from its sister’s offerings and introduces a lot of new dishes that can only be found here. 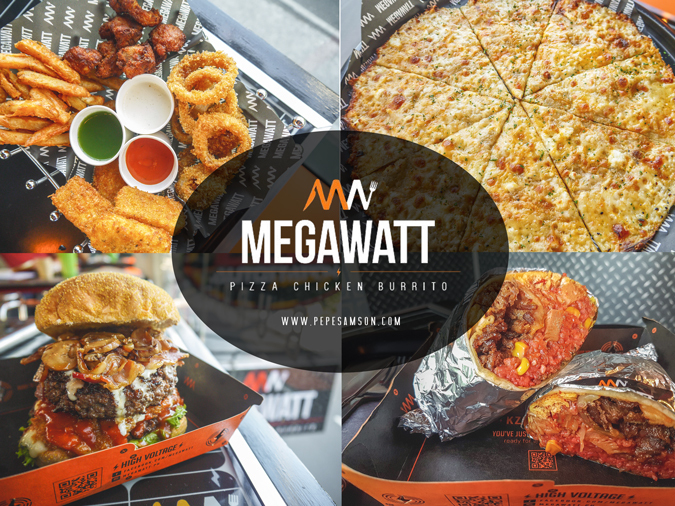 Megawatt prides itself for its pizzas, chicken, and burritos, and naturally we had to try them. 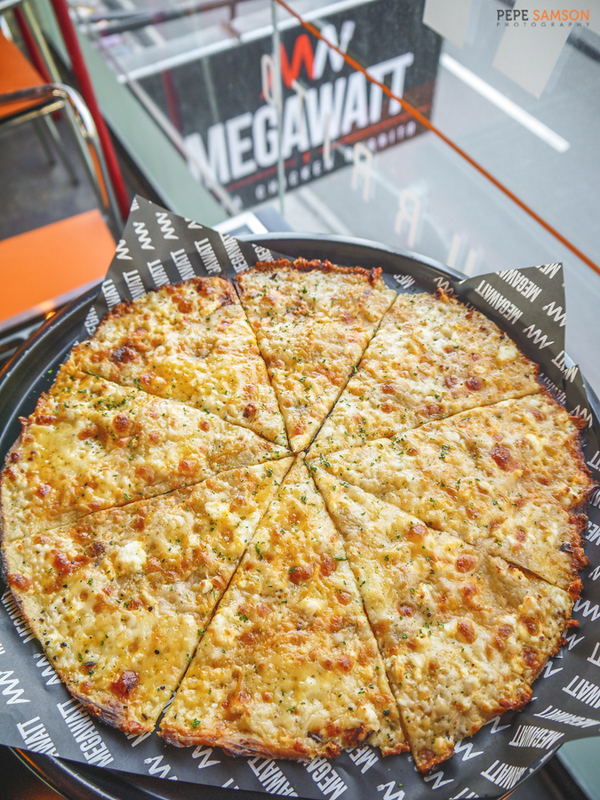 The Cheese, Cheese, Cheese Pizza (PhP315) was an instant favorite: a pie loaded with feta, sharp cheddar, gruyere, parmigiano, and mozzarella. The simple flavors and the crispy crust were incredibly addicting. 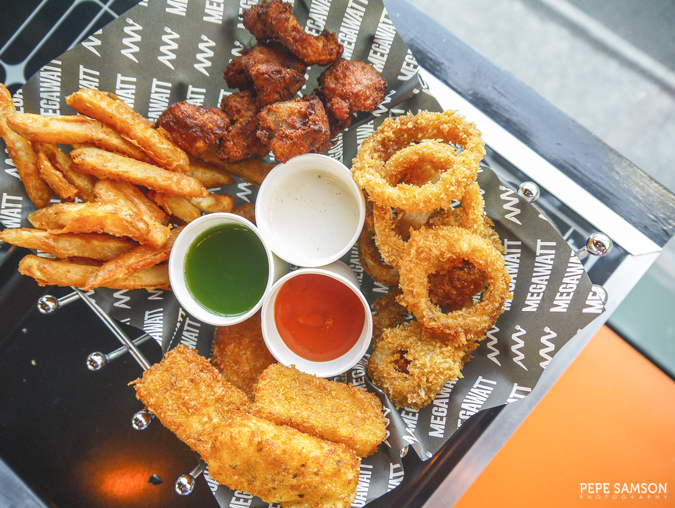 The Megawatt Platter (PhP285) came next—a platter of crispy fries, mozzarella tots, chicken pops, and Ohm-nion rings, served with Megawatt’s 3 homemade sauces: garlic mayo, sundried tomato ketchup, and jalapeno. 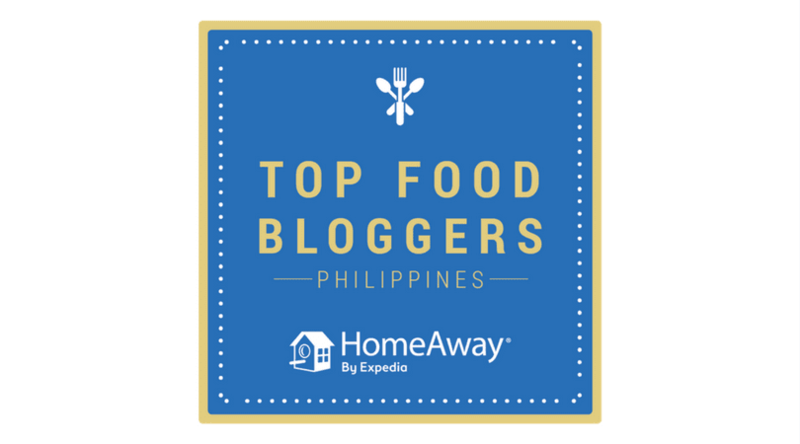 The fries tasted like KFC’s, and the chicken was moist and very tasty—something that reminded me of what my Lola cooks at home, reminiscent of leftover chicken adobo that has been fried! So good! The homemade ketchup? Irresistible! 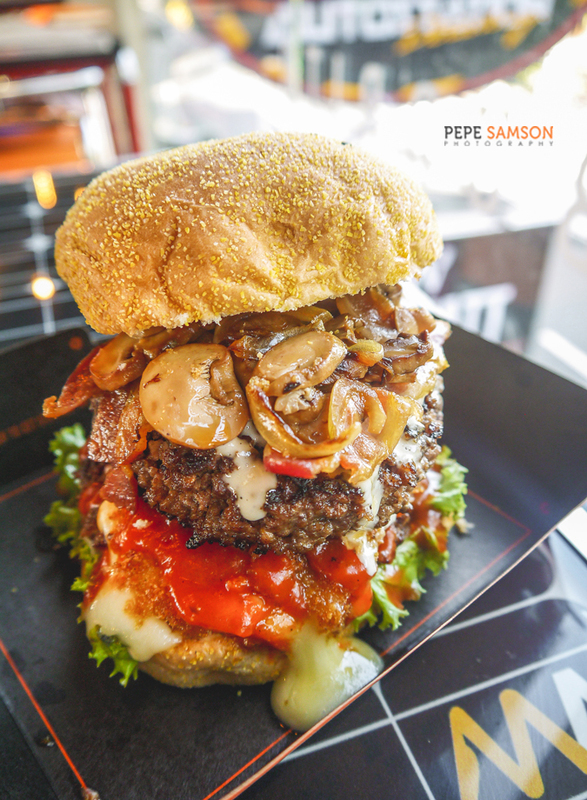 I’m not a huge burger fan, but I did enjoy the Crunchy Mushroom Melt (PhP295)—two homemade quarter-pounder patties sandwiching a crisp layer of breaded mozzarella cheese, then topped with bacon, caramelized onions, and mushroom. 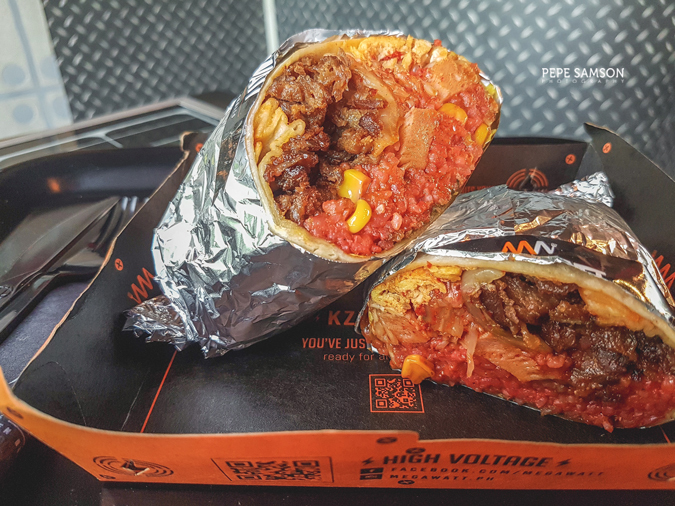 A combination of cheese sauce and ketchup finishes the whole delicious mess. 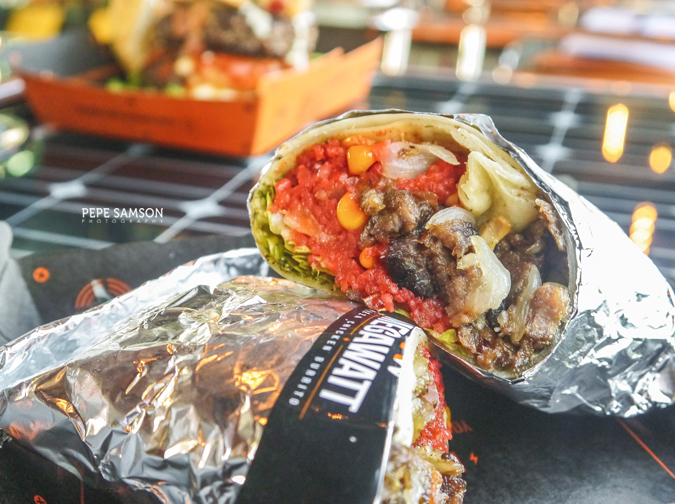 I found the burritos even better than the burger—especially the Roast Beef Burrito (PhP245) loaded with strips of roast beef and beet-infused rice. It had the right balance of rice, tortilla, and fillings, and the serving size was good enough to be shared by two people. It’s a delicious and satisfying dish, and I must say that it’s my second favorite after the pizza. 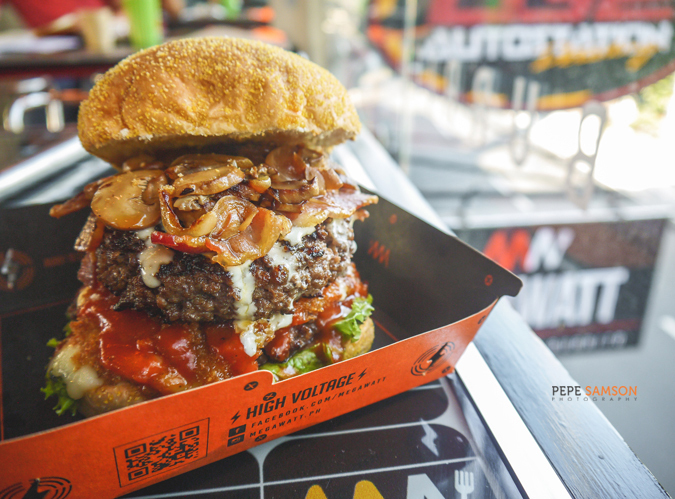 If you like something spicy, they also serve a more saucy Pork Kimchi (PhP215) variant. 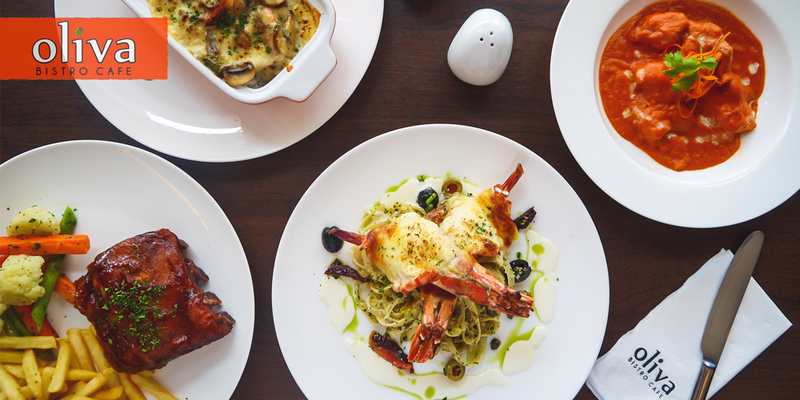 Pair these delectable dishes with their signature Black Currant Iced Tea (PhP88), which is like Absolut sans the alcohol. 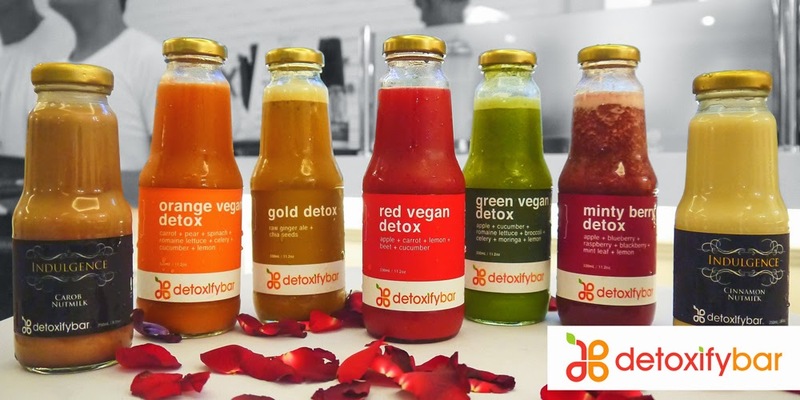 Brewed in-house, this refreshing drink has a suave blend of sweetness, tartness, and bitterness—making it one of the few iced teas I could drink (I hate iced tea). The real surprise was the Electrified Snickers (PhP138), which at first didn’t look too appealing to me. Little did I know that each bite-sized portion of deep-fried, wrapped Snickers bars would send jolts of pleasure to my not-too-excited-with-desserts taste buds. If you love deep-fried Oreos, try this—it’s 10 times better! 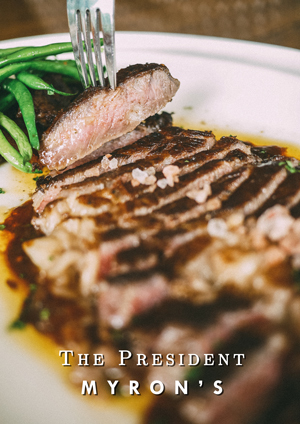 I greatly admire restaurants which do not pretend to be more than what they really are—a place to grab a nice meal. 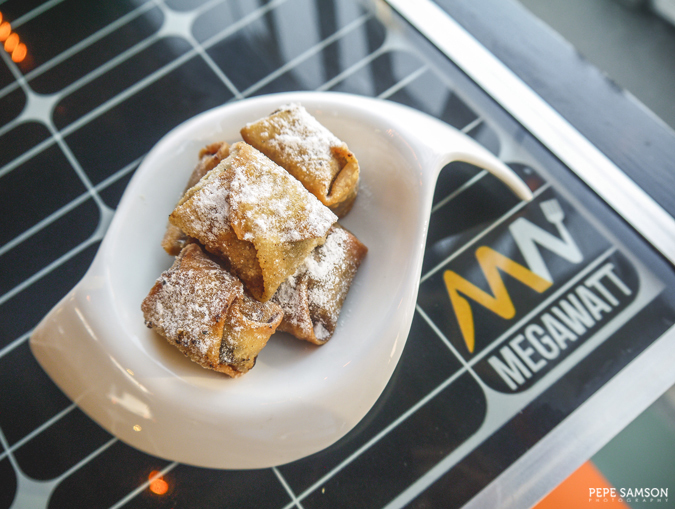 At Megawatt, it’s even more straightforward—let us feed you while you wait for your car to get squeaky clean. 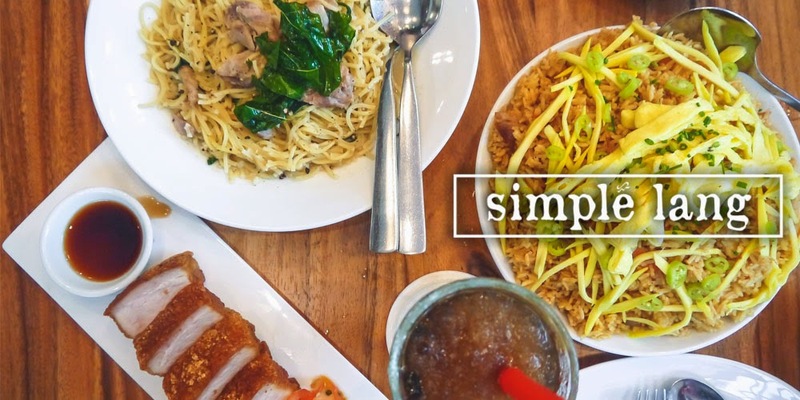 But what makes this neighborhood restaurant different from the rest is their passion to create their offerings from scratch—from food to ambience. 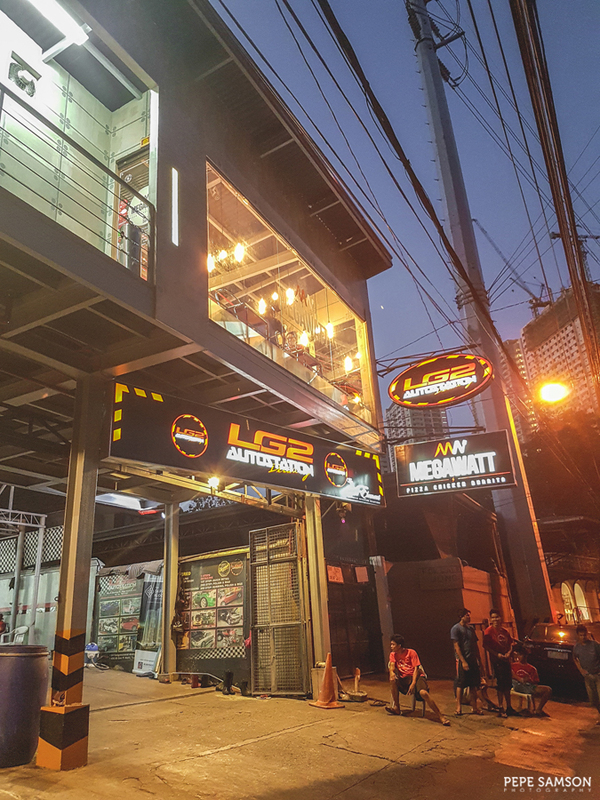 It might be said that Megawatt is tailored to a specific—and small—group of consumers, but for me, even if I don’t need to have my car washed, it’s worth a trip to this quiet side of Quezon City. 1. You must have a Facebook account. 2. 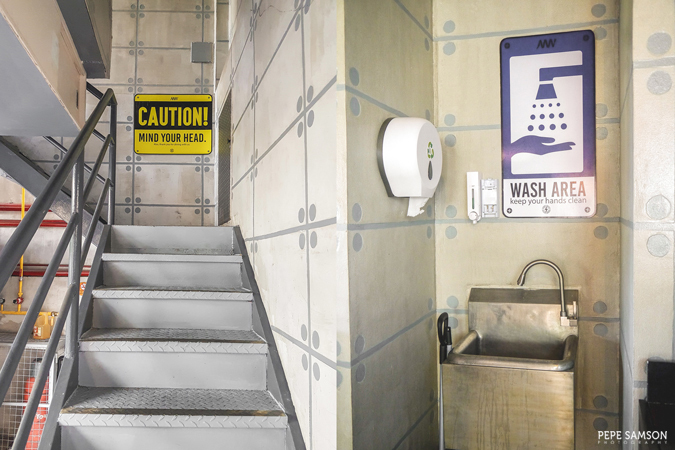 You must complete ALL 3 steps below. 2. 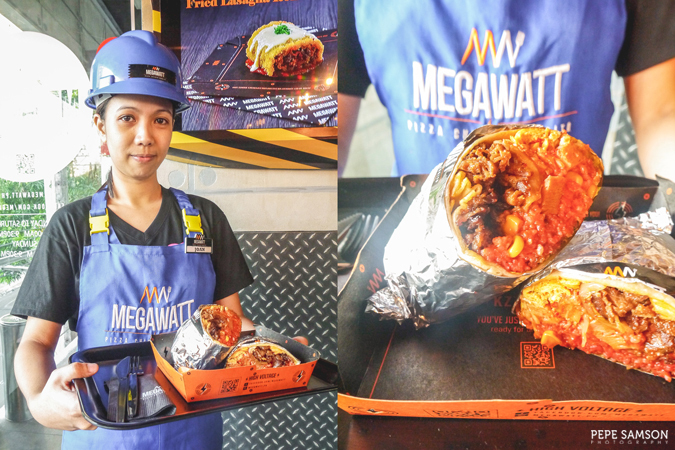 Share this post on Facebook with the hashtags #PowerUpwithMegawatt and #MegawattPH and tag 5 friends. 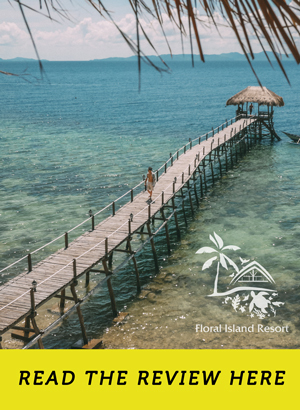 Make sure your post is set to public; otherwise, we will not see the post. Easy right? This giveaway is open until May 31, 12 midnight. 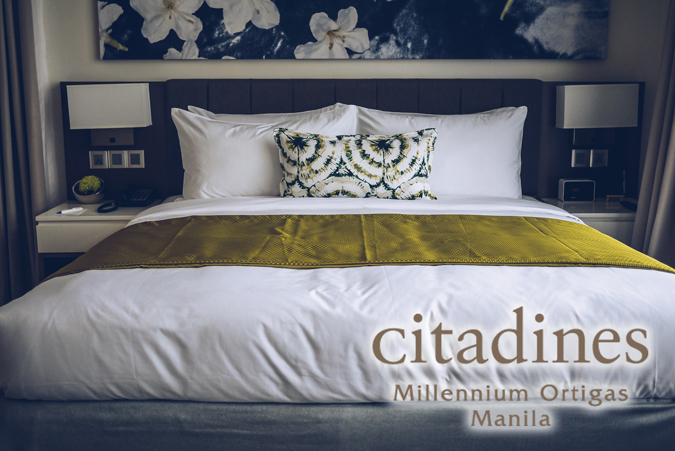 The lucky winner will be announced on June 2. Congratulations to Riyalyn Gatdula! 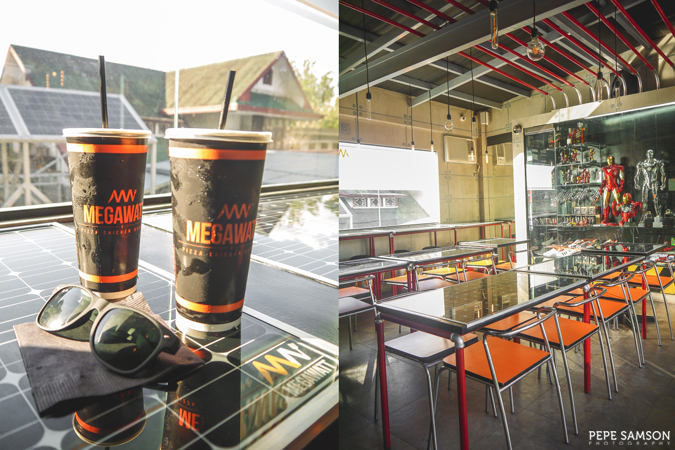 You won PhP1,000 worth of Megawatt GCs! Kindly email your full name to pst.corrales@gmail.com for instructions on how to claim your prize. 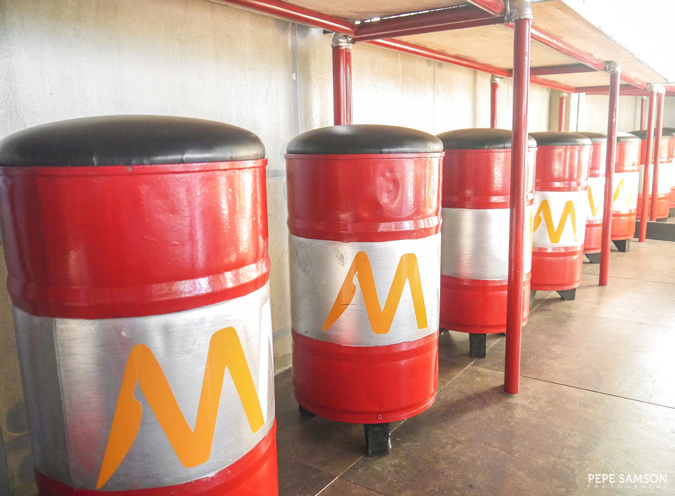 ------------------ Follow Megawatt on Facebook for more exciting updates. 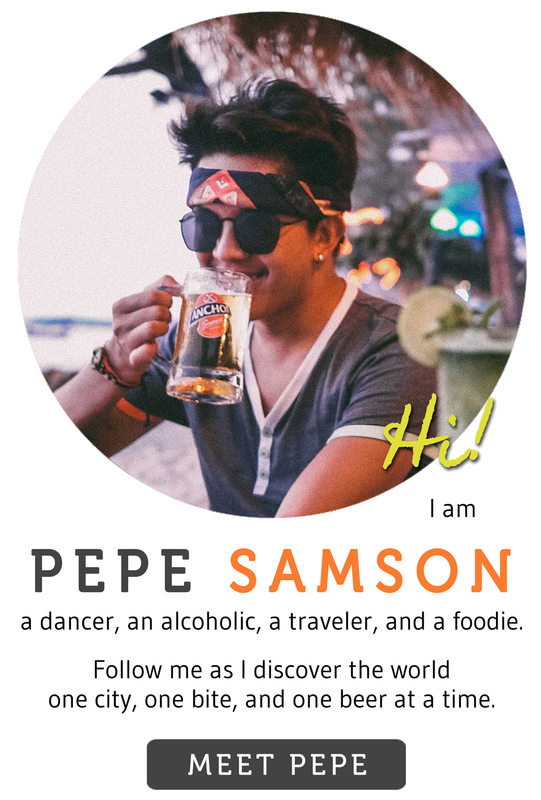 Follow Pepe Samson on Facebook for more giveaways and reviews of all the good places to eat, drink, and stay! 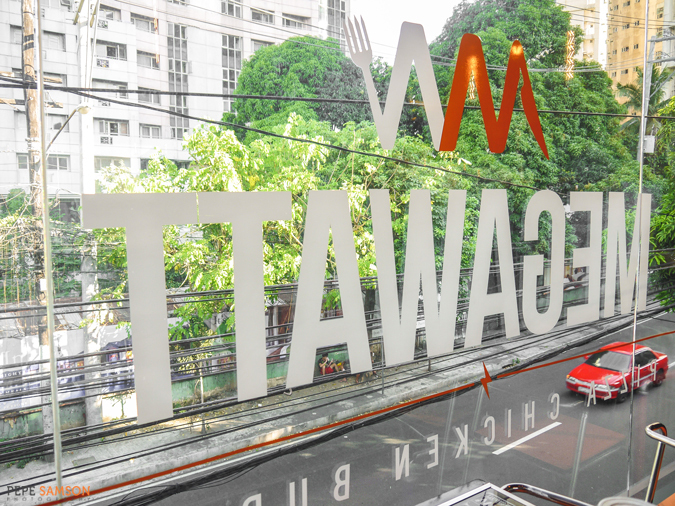 Have you dined at Megawatt? What was your favorite? My meal was sponsored by Megawatt. All opinions, however, are my own.